We have introduced a range of products to help you to look after your patients body & health the way nature intended. 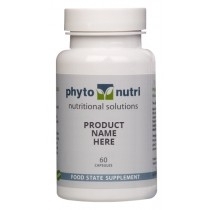 PhytoNutri is a practitioner only range of whole food supplements that are actually ‘food state’ supplements, made from real food, unlike many so-called ‘natural’ supplements. “You can trace every sickness, every disease & every ailment to a mineral deficiency”. The absorption & utilisation of the PhytoNutri food state supplements gives your patients and you nearly 100% of the active food nutrients. Restore the body the natural way!